Anyone who has made the drive from Calgary to Vancouver will tell you how breathtakingly beautiful it is. But in case you never get the chance to do it, whether it be because you don't live in the area or have a strong distaste for sitting in a car for 12 hours, one YouTube user is taken us all along for the ride via his car's dashboard camera. Grant Boyko uploaded a three minute video this week of his drive from city to city, but accelerated the footage to highlight some of the amazing scenic treasures along the way. And it's not just captured from the highway. 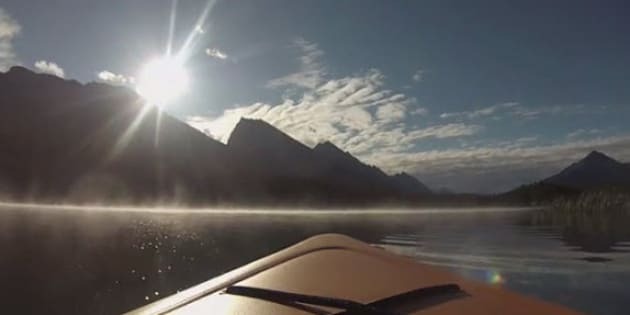 Boyko also affixes his dashcam to his kayak, paddling around the gorgeous lakes of the Canadian Rockies. Check out the video below and let us know in the comments your favourite Canadian road trip.